A bleak tundra extends before me, a wasteland of twisted stumps, wind blasted scrub growing in among rusted relics of a forgotten age. Behind me, dark moors rise out of sight into low hanging clouds; before me, the gray plateau drops precipitously into the coiling fog. This is not some scene from a post-apocalyptic Sci-fi novel, and mutated beasts do not lurk amongst the foggy crags (at least, not so far as I know). 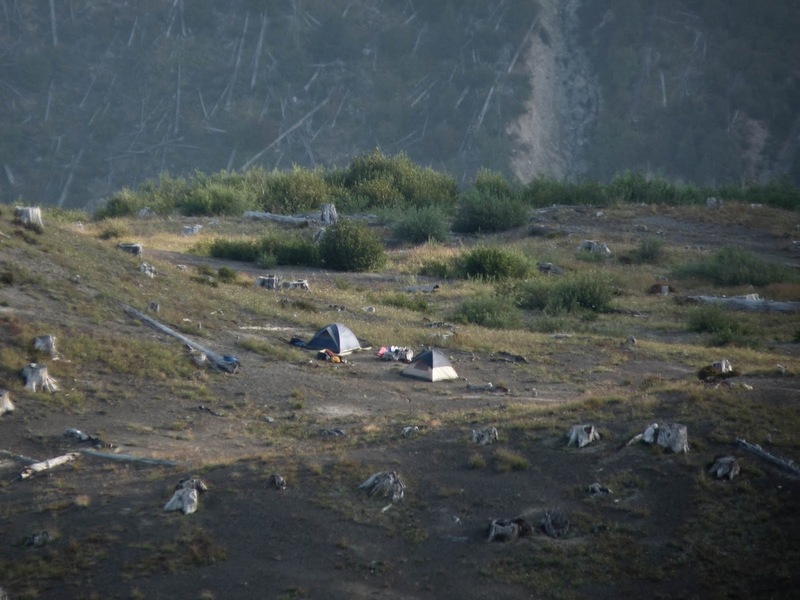 This is the hinterland of Ridge Camp, a bleak and lonely destination high in the Mt. St. Helens blast zone. This seemingly remote location is only a scant few miles from Spirit Lake Highway along the South Coldwater trail, and just over the ridge is the tourist utopia of the Johnston Ridge visitor center. Less than a mile back along the trail, day hikers saunter, bikers careen, and sandal clad tourists stumble. Two miles in the other direction, somewhat more-fit day hikers climb imposing Coldwater Peak, its summit twinkling with seismic sensors and other scientific nick-knacks. Yet past the junction with the trail that drops to Coldwater Lake, the way grows decidedly darker and climbs to an ashen bowl set in the side the ridge. The air falls still; wind echoes in the rocks high above, but rarely is a breath felt below. A shallow depression may once have been a bright woodland pool. Now it is filled with dust and the bones of ancient trees - and the Sani can. This huge, yellow monster lies like an engorged slug near the back wall of the crater, and one must sit perched atop this distorted mountain throne in plain sight of the trail whenever nature calls. There are campsites: squares of wood filled with gravel upon which you are intended to camp, like offerings on some pagan altar. Welcome to Ridge camp folks, enjoy your stay! elk mingles with the haunting cry of coyotes. In the depths of night, nighthawks cry and owls shriek, filling the time before songbirds greet the dawn. To say that this place feels remote is an understatement. To camp here for a day or two is to drop from the face of the earth and visit a land not unlike Middle Earth. One can imagine that he is visiting the land of Mordor years after the fall of Sauron, and that Mt. St. Helens is in fact the shattered remains of Mt. Doom. This fantastical atmosphere was not lost on my younger siblings, and years after our stay there they still harbor fond memories of our camping adventure. Beneath brooding skies and beside the gloomy moor, they played among the many stumps; a post-apocalyptic playground. 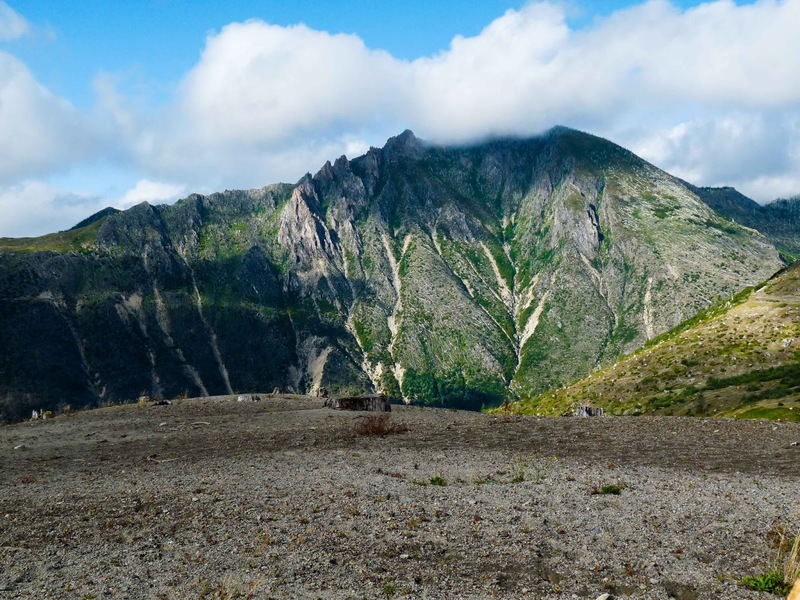 Ridge camp is also a prime base for ascending Coldwater Peak, from which vantage point can be seen the entirety of the Monument-a view arguably greater than that from the top of St. Helens itself. Mt. St. Helens from the south flank of Coldwater Peak. It is, however, a sad fact that nowhere in the Monument can you camp with a view of Mt. St. Helens. 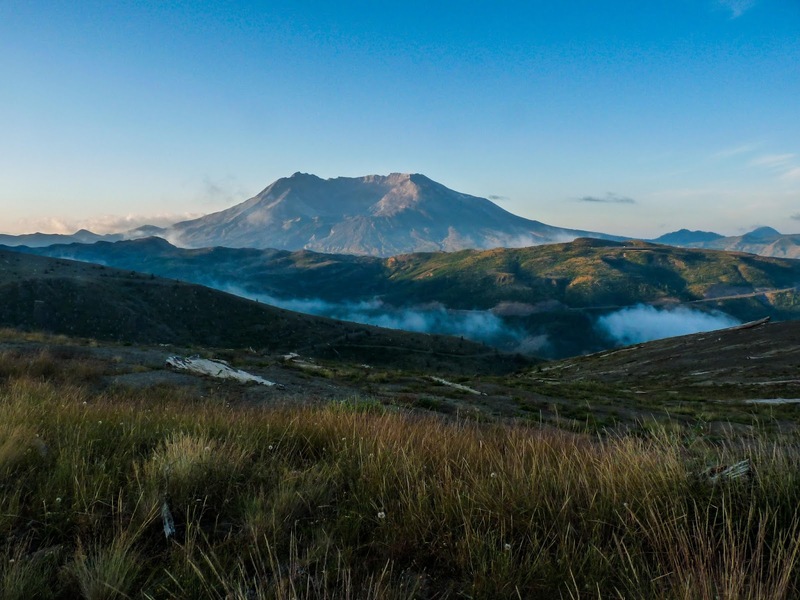 To get a sunset photo of St. Helens while camped in Ridge Camp, one must scramble up through brush and scree to the ridge top high above camp. 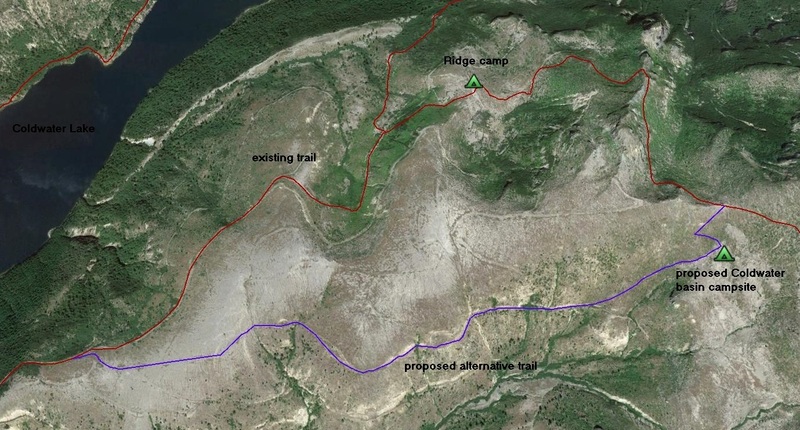 If both the trail and the camp were moved to the opposite side of the ridge, the trail could follow an old logging road before connecting with the existing trail as it begins its ascent of Coldwater Peak. 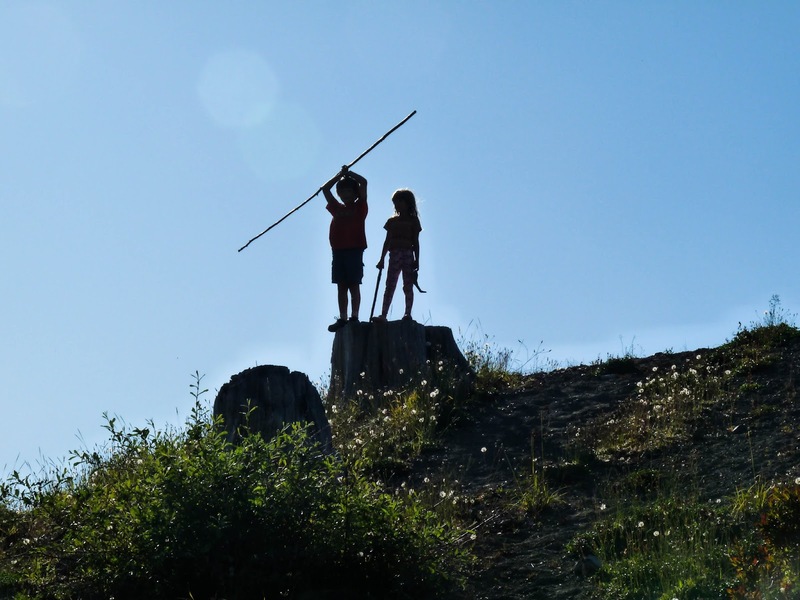 At that point, there is a wide and gentle basin with a small creek flowing through it; an amphitheater with a front row view of St. Helens and the perfect location for a campsite. There is a great need for new trails and campsites in the monument. Various planning groups have stressed the need for increased tourism and overnight facilities. But the fact is that without more trails there is not enough room for an increased number of visitors, nor is there any real incentive for them to stay overnight. Coldwater Peak, there could be a direct route from the highway to the top of Coldwater Peak. This trail could start just before the highway begins climbing up Johnston Ridge, and would cut the hike to the top of Coldwater from 6 miles to 3. Such a distance is much more appealing to day hikers, but would still be difficult enough to prevent a stampede of tourists to more vulnerable areas. 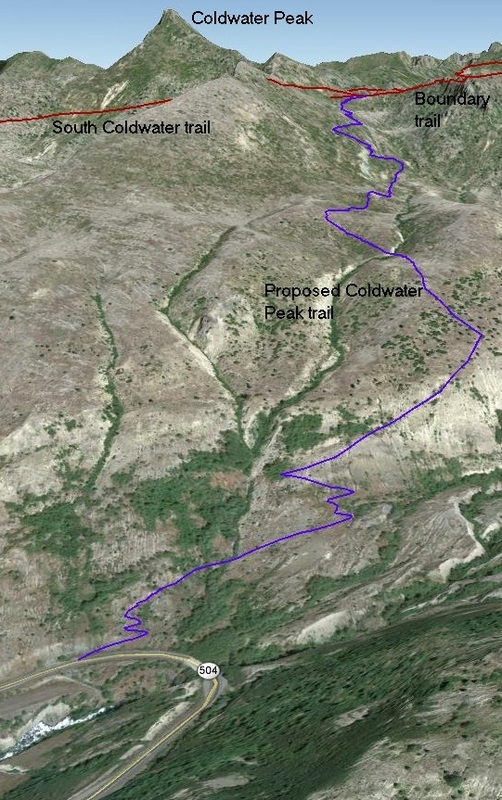 The traditional approach to Coldwater Peak is a beautiful hike, but there is a hazardous cliff section which needs to be rerouted, since many hikers turn back at that point. Such changes would be an improvement, but would add little mileage to the trail system. 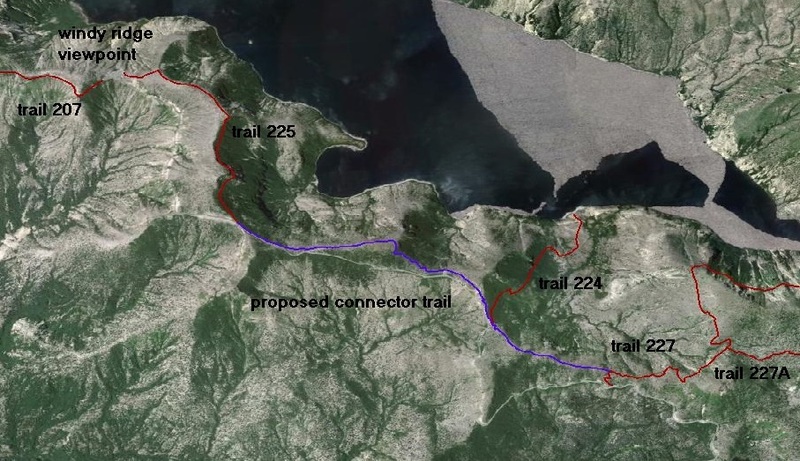 It would be great to see the old trail to Coldwater Peak rebuilt: it could branch from the trail connecting the Boundary Trail with the Loowit trail and drop down to the Southwestern bay of Spirit Lake, where a campsite could be located. 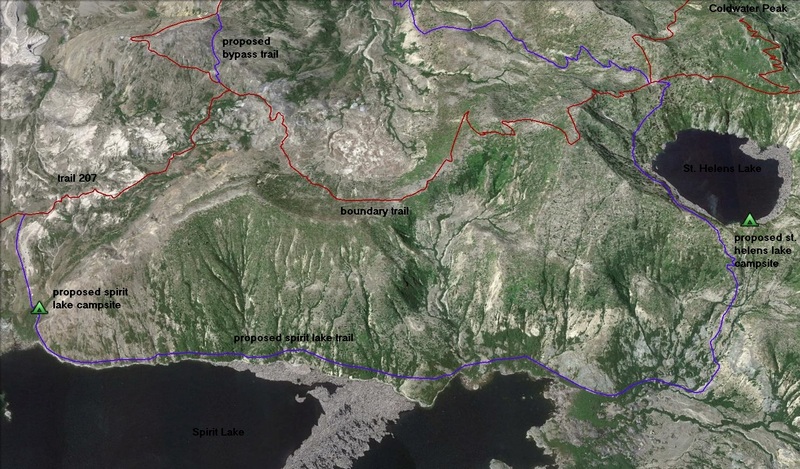 It could then skirt the western shore of the lake all the way to the end of the northwestern bay, where it would climb to the outlet of St. Helens Lake (another potential location for a campsite), before ascending to meet the Boundary trail on the flank of Coldwater Peak. The vegetation in the monument has recovered enough to withstand these uses, and campgrounds on a permit system would not be too damaging. Camping near a lake, with or without a view of Mt. St. Helens, is much more attractive than a dusty bowl on the back of a ridge. 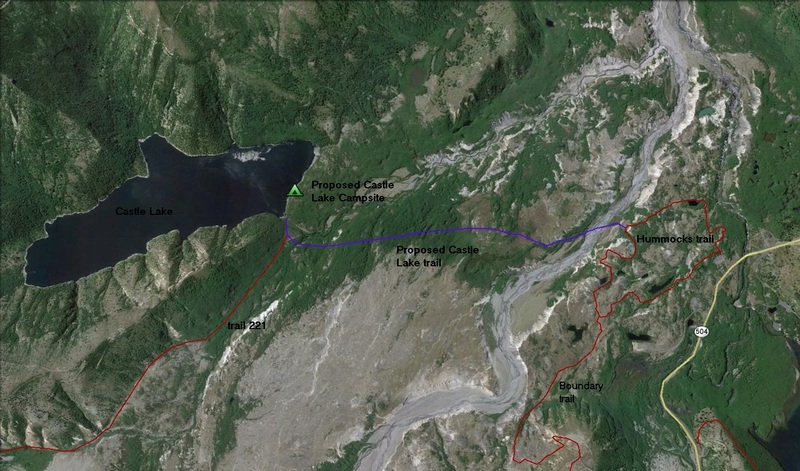 Another much needed trail is one that would provide easier access to Castle Lake. Currently, the lake is mostly visited by locals via a maze of backroads, and due to its hard to reach location is not often patrolled by rangers. This has led to all kinds of illegal activity taking place at the lake. Locals often drive pickup trucks and ATVs to the lake and party there, leaving their trash behind. A trail could be built across the valley starting at the Hummocks Trail, where it would either ford or bridge the river. The outlet of the lake would be an ideal location for a campsite. The increased visitation and ranger patrols would force disreputable users to cease their illegal activities. 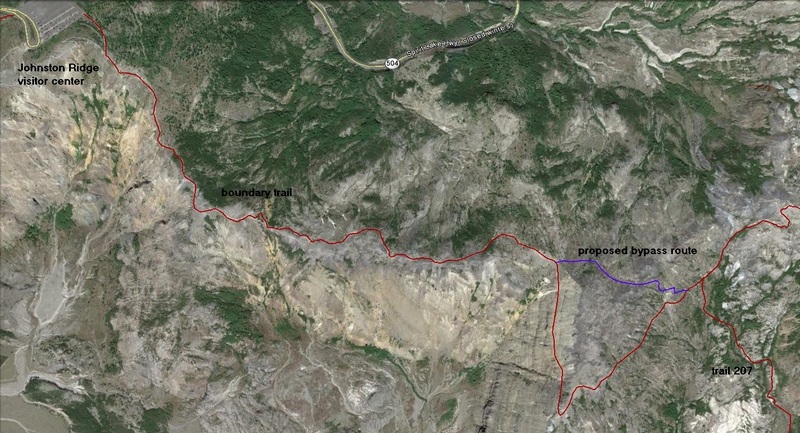 My final trail recommendation within the monument is to connect trail 227 with trail 225 on Windy Ridge. 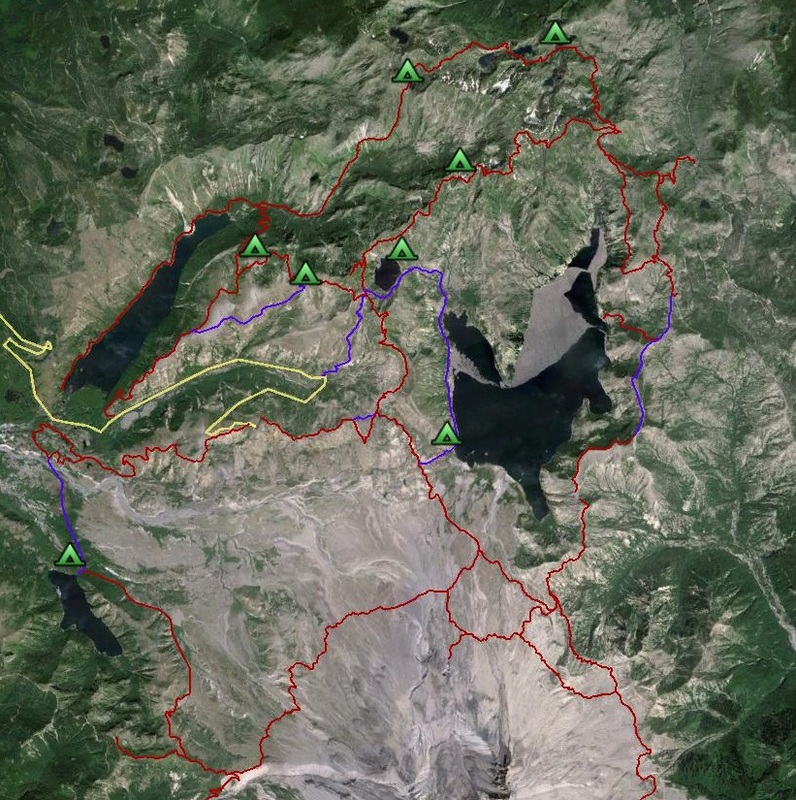 This would allow for a fantastic loop hike around Spirit Lake, and in fact, most of these trails I have listed above would allow for many different multiday loop hikes to be made in the monument. The gray twilight of ridge camp is suddenly plunged into brilliant sunlight as dawn pokes its golden fingers over the rocky heights of Mt. Whittier. Suddenly, the fog flies up in tormented silver tendrils, retreating back into the dark places whence it came. As the mists clear, the grandeur of the Coldwater Valley is revealed: here a small lake glimmering on a high plateau, there a rocky gargoyle glowering from the shoulder of a ragged peak. Finally, all lies before me in a tapestry of grey and green. 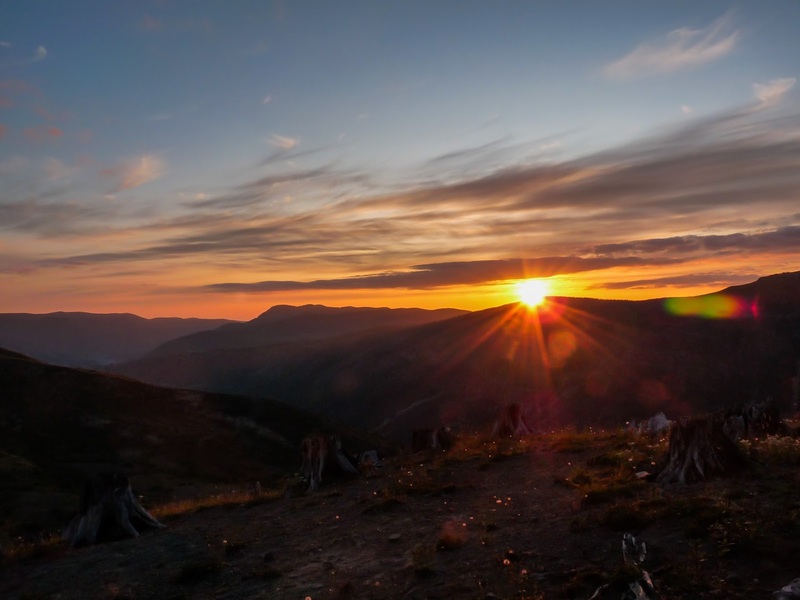 Since that sunrise, we have hiked the Monument’s few trails too many times, and hope that careful planning and development will bring a new dawn for hikers to this unique environment. Morning mist fills the upper Coldwater valley.